Website last updated March 7, 2019. The results of the 2009 through 2018 Ozark Trail 100 Mile Endurance Runs are posted below. Please scroll down to view the results. REGISTRATION FOR THE 2019 OZARK TRAIL 100 MILE ENDURANCE RUN IS OPEN. Please support Hammer Nutrition, our nutrition sponsor for the Ozark Trail 100 Mile Endurance Run from the very first year. 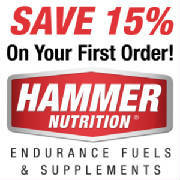 If you click on the Hammer Nutrition logo above and to the left, you will be taken directly to the Hammer Nutrition website and you will receive a 15% discount off your first order. Thanks for supporting our sponsor! TRAIL MARKING - FIXED OZARK TRAIL MARKERS ONLY - All but the first three+ miles and the last one mile of the Ozark Trail 100 Mile Endurance Run is on the Ozark Trail, which is a very well marked trail with fixed Ozark Trail (OT) markers (see sample below). The run will start with a 1.5 mile out and 1.5 mile return on a grassy forest road. ALL PARTICIPANTS in this event are responsible with familiarizing themselves with the fixed OT markers and being able to navigate the entire distance of the Ozark Trail 100 by following the fixed markers. The vast majority of the markers include a one inch square of highly reflective material (diamond grade conspicuity tape) in the bottom left hand corner to assist in navigating the trail at night. By signing up for this event, you agree that you are assuming all responsibility for being able to follow the Ozark Trail from the start to the finish (the finish being at Bass River Resort) relying solely on the fixed OT markers. The final mile of the run is on the grounds of Bass River Resort, where participants will leave the Ozark Trail and follow temporary markers (ribbons, flags, and/or signs) which will be discussed at the mandatory pre-race meeting the evening before the event. Please follow the Ozark Trail 100 on Facebook. The Ozark Trail 100 Mile Endurance Run is a point-to-point 101 mile ultramarathon on the Ozark Trail through the Mark Twain National Forest in south central Missouri. The race is mostly on single track trail with several water crossings and approximately 12,000 feet of elevation gain. The trail surface varies from smooth dirt trail to moderately technical trail with lots of leaves covering the trail. The date for this event is Saturday, November 2th, 2019. The early registration fee for this event is $195 on or before May 31, 2019, at which time late entry fees go into effect as set forth on the race registration website www.RunRace.net (click on the link above to register for the race). The registration fee is non-refundable. Entries are non-transferable and may not be rolled to future years. Please do not ask for refunds, transfers, or rolled entries (you will not receive a response to such requests). Please do not ask for an exception to this policy. Missouri weather in November can be unpredictable. The average high temperature for November is 56 degrees and the average low is 30 degrees, but wide variances can occur. (Average temperatures for November 2 are high of about 62 degrees and low of about 33 degrees.) It is entirely possible to have rain, hail, sleet, snow, or ice this time of year. Be prepared for cold and possibly wet weather. Please carry proper clothing with you and have additional clothing in drop bags. Don’t be caught unprepared for inclement weather! Sunrise on November 2 is about 7:30 am; sunset on November 2 is about 6:00 pm. Flashlights are essential during the nighttime. They will also be necessary at the start of the race for the first hour or more. Race results will be posted as soon as possible after the race on this website. Please be patient to see the results posted on the website as it may be a few days before we are able to verify and post the final results. The race headquarters and finish line will be located at the Bass River Resort. Camping is available at Bass River Resort. Cabins are also available at Bass River Resort. Please contact Bass River Resort directly to make reservations. Their website is www.bassresort.com. The starting line is located at the intersection of CR 862 and FR 2309, just north of Highway 72 a few miles East of Route TT, which is 55 miles south of Bass River Resort by road (about a 1 1/2 hour drive). Runners will be able to purchase a bus ticket at the time they enter the race in order to ride the bus to the start of the race. Runners may also have crew drop them off at the start of the race. Please note that no cars may be parked at the starting area after the start of the race, so plan to ride the bus or have your crew take you to the start. There is a $5 per vehicle parking fee at Bass River Resort. If you plan to leave a car at Bass River Resort during the event, please register your vehicle at the Bass River Resort store in the lodge. If you plan to camp or stay in a cabin at Bass River Resort, the parking pass is included with your lodging fees. Pre-race dinner will be available on Friday, November 1, 2019 from 4:00 pm to 6:00 pm at Bass River Resort. This will be a pasta dinner with an option for a vegetarian sauce. One dinner will be included with each runner's entry fee. Additional dinners may be purchased for $10 at the time of race registration for crew and guests. If additional dinner tickets are not purchased at the time of registration, dinner tickets may also be purchased for $15 at packet pickup. You may purchase a ticket to ride the shuttle bus to the start of the race for $10 at the time you register for the race. In the event you do not purchase your bus ticket when you register for the race, you may purchase a bus ticket at packet pickup for $20, although we discourage purchasing bus tickets at packet pickup because we base our estimate of the number of buses we need to reserve on the number of tickets purchased with the race entries. There will be a mandatory pre-race briefing for all runners on Friday, November 1, 2019 at 6:00 pm at the lodge at Bass River Resort. Important race rules, current trail conditions, last minute changes and other important information will be covered at this meeting. From Kansas City, MO: Take I-70 east, to US 63 in Columbia. Take US 63 south, to Jefferson City. Stay on US 63 and go through Westphalia, continue on US 63 to state Route 68 (which is just north of Vichy). Go south on Route 68 to St. James. In St. James, take I-44 east to Cuba (exit #208), then south on Route 19 to Steelville. In Steelville, go through the 3 way stop, then continue east on Route 8 for approximately 10 miles to the BIG YELLOW ARROW, BASS RIVER RESORT sign on your left. Follow the blacktop for 1.4 miles to Bass River Resort, which will be on your left. From St. Louis, MO: Take I-44 west to Cuba (exit #208), then south on Route 19 to Steelville. In Steelville, go through the 3 way stop, then continue east on Route 8 for approximately 10 miles to the BIG YELLOW ARROW, BASS RIVER RESORT sign on your left. Follow the blacktop for 1.4 miles to Bass River Resort, which will be on your left. The race ends at 2:00 pm DST (1:00 pm CST). The race conclusion will be followed by an Awards Ceremony at approximately 2:15 pm DST (1:15 pm CST) The Awards Ceremony should conclude by 3:00 PM DST (2:00 pm CST). l The sports drink for the race will be HEED, which is being provided by our sponsor Hammer Nutrition. If you prefer another sports drink or you have any other special dietary needs, please be sure to supply your drop bags or crew with what you plan to consume during the race. l Aid stations will not provide Advil, Aspirin, or other pain relievers. If you choose to take the risk of using these medications you must bring your own and do so at your own risk. l Aid stations will not have blister kits and aid station crews are not reponsible for working on your feet. If you are prone to blisters, make sure you carry what you need or have what you need in your drop bags to care for them yourself. * * "RECOMMEND" by the cutoff in the chart above indicates the cutoff is not enforced, but runners arriving after the time indicated are unlikely to make the next hard cutoff time. Race directors reserve the right to cut any runner who is more than 45 minutes later than the "RECOMMENDED" time at these two aid stations. All other cutoffs are strictly enforced. l Plaques will be awarded to the first female and male overall and first masters (40+) female and male finishers. l Belt buckles will be awarded to all sub-32 hour finishers. 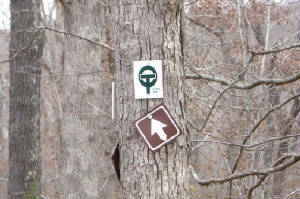 l Other than the start on 3.5 miles of forest roads, the entire course is on the Ozark Trail within the Mark Twain National Forest, which is permanently marked with Ozark Trail markers (overlapping O and T). 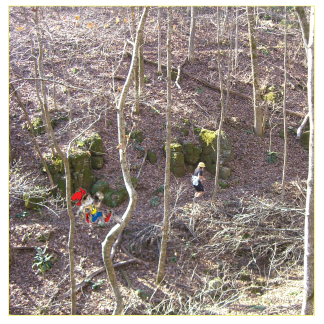 There may be very minimal additional trail marking where needed for the race in the form of "OZARK TRAIL 100" directional signs and possibly a very few glow sticks entering and leaving one or more of the aid stations. In addition, there will be orange and silver striped ribbon, orange and silver striped ground flags, signs, and possibly a few glow sticks the final mile of the course through Bass River Resort property. l Runners’ crews are not allowed on the race course. l Runners receiving aid from crews outside the designated crew access points are subject to disqualification and possibly being banned from future races. (See Aid Station chart for designated crew access points.) Please note that it is absolutely forbidden to receive aid at road crossings unless designated as a crew access aid station. This may not only result in disqualification of the runner receiving aid, but in many instances would be very dangerous due to traffic on the roads. l Crews must PARK ON ONE SIDE OF THE ROAD ONLY at the crew access aid stations as directed by aid station personnel and also AT THE START OF THE RUN. Please look for directions/signs indicating where to park when approaching aid stations. If crews are asked to move a car by aid station or forest service personnel, they must do so immediately. Please don’t make them ask to have a car moved! The roads on which the aid stations are placed are for public access and local residents need to have access through these locations, so PLEASE DO NOT BLOCK THE ROADS by parking or setting up chairs, etc. in the roadway. SPECIAL INSTRUCTIONS: At both Brooks Creek aid station and Henpeck Hollow aid station, no crew vehicles are allowed to drive past the aid station to turn around or to park. This creates both a danger for the runners and unnecessary dust for the aid stations workers. Crew vehicles must park on one side of the road only as directed by aid station personnel in order to avoid congestion. There will be a designated "NO PARKING" zone located on the road next to the aid station. It is the runner's responsibility to make sure your crew is aware of these rules. Violation of these rules may result in disqualification of the runner being crewed by people violating the rules, so please make sure your crew is aware of these rules and abides by them. l Smoking is NOT allowed by crews or pacers within 300 feet of any aid station. l Crews must abide by the instructions of aid station personnel and race directors. l Runners are responsible for their crews and may be disqualified from the race if their crews refuse to comply with the requests/instructions of aid station personnel or race directors. l Final crew directions will be available in the runner packets e-mailed to all entrants about one week prior to the race. Copies will NOT be available at packet pick-up, so please be sure to print out what you and/or your crew may need in advance. Please review these final crew directions and make sure your crew has a copy of the final crew directions. l Each runner is allowed to set his or her own pace as long as he or she is out of the aid station by the cut-off time for that aid station. See Aid Station chart for cut-off times. In the event a runner does not leave an aid station by the stated cut-off time, the runner will be pulled from the race. In the event a runner should choose to leave an aid station and return to the trail after being told by aid station personnel that they missed the cutoff and are being pulled from the race, the runner will be disqualified from the race and may be banned from future races. l Drop bags must be left at the designated location at the Bass River Resort on Friday, November 1, 2019 from 2:00 pm to 7:00 pm. Some drop bags will be taken by aid station crews the evening before the race, therefore all drop bags MUST be delivered to the designated area no later than 7:00 pm Friday or they will not be available at the aid station. You will NOT be allowed to leave drop bags at the starting area or at Bass River Resort the morning of the race. All drop bags should be waterproof and sturdy enough to withstand the rigors of being transported to and from an aid station. Make sure your drop bags are all placed in the location designated for the aid station where you want the drop bag to be available for your use. You must have one drop bag for each aid station where you want a drop bag (they will not be transported between aid stations). See Aid Station chart for designated drop bag locations. Please limit drop bags to a manageable size and weight, being considerate of aid station personnel and the large number of drop bags they must transport to and from the aid stations. A good rule of thumb is to try to limit your drop bags to a 1 1/2 gallon (breadbox size) or smaller sized container unless it's absolutely necessary to use a larger container (such as for a change of shoes or extra warm clothing for night running). l You MUST place your NAME, BIB NUMBER, and AID STATION NAME on all drop bags. If you mark a drop bag for an aid station that is not designated as a drop bag aid station, that drop bag will not be transported to an aid station. STARTING LINE GEAR: Any clothing and/or gear that you need on the bus to the starting line, or while waiting for the race to start, may be left in a “Drop Bag” marked with your name and race number and the word “START” and it will be returned to the finish line with the Finish Line drop bags for you to pick up after the race. FINISH LINE DROP BAG: You may leave a “Drop Bag” at the finish line at the designated area that will be available for you when you finish the race. PLEASE NOTE: DROP BAGS WILL BE RETURNED TO THE FINISH LINE AREA NO LATER THAN 2:00 PM SUNDAY. IN THE EVENT YOU CANNOT WAIT TO PICK UP YOUR DROP BAGS, IT IS YOUR RESPONSIBILITY TO MAKE ARRANGEMENTS TO HAVE SOMEONE ELSE PICK UP YOUR DROP BAGS. All drop bags MUST be picked up before leaving the race, even if you drop from the race at an aid station along the course. It is the runner's responsibility to return to race headquarters after drop bags have been returned to the finish line to pick up their drop bags. Please pick up all drop bags no later than 1 hour following the conclusion of the Awards Ceremony. In the event you forget to pick your drop bags up within 1 hour after the Awards Ceremony, they may still be available until about 5:00 pm (possibly a little later), but may be consolidated by that time, requiring you to sort through all the drop bags to find yours in the event you have not picked them up by the designated time. Drop bags from some aid stations may be returned to race headquarters a few hours after the cutoff time for the aid station; however, if you do not want to wait for the Awards Ceremony to pick up your drop bags, you may need to drive to some aid stations to pick up your drop bags (in which event you may cross paths on the road with the aid station volunteers returning the drop bags, in which case you will need to pick up your drop bags at race headquarters - be aware that they may arrive there as late as 2:00 pm Sunday). Drop bags which have been left behind will only be mailed to runners after receipt of payment in the amount of $100. Shipping costs will be added to this charge if the total weight of the drop bags being shipped is over 10 pounds or shipped to an address outside the continental United States. There is too much post race work to do to be bothered with mailing drop bags, so if you just can't remember to pick up your drop bags and want us to mail them to you, you will be required to make it worth our time to sort throught the gear, box up your drop bag, determine shipping costs, communicate with you about the process, and then drive to the post office or UPS (our choice) to mail your drop bags. You may also make arrangements to pick up your drop bags in St. Joseph, Missouri no later that 30 days after the race. 30 days after the conclusion of the race, all remaining drop bag contents will be disposed of. l Each runner is responsible for their own actions. It is crucial that you are physically and mentally prepared for the stresses of the race. We will utilize the local EMS services in case of a medical emergency. Medical expenses incurred are the responsibility of the runner receiving medical assistance/services. The remoteness of the trail and the distance between trail/road crossings will result in a substantial amount of time before medical personnel arrive to provide assistance. l It is important for runners to recognize the potential physical and mental stresses that may evolve from participation in this race. These include, but are not limited to, extreme temperatures of heat and (more likely) cold, hypothermia, dehydration, hyponatremia, renal failure, seizures, hypoglycemia, disorientation, total mental and physical exhaustion, etc. Each participant must continuously monitor himself/herself and understand their limitations. Remember that YOU, the runner, are responsible for your own well being during the race. l Runners may have a pacer beginning at the Brooks Creek Aid Station. l Runners 60 years and older may have a pacer from the start, but must notify the race director no later than 6:00 pm on Friday November 1, 2019 of their intention to use a pacer for the entire race (or for any portion of the race prior to Brooks Creek Aid Station). l Runners are allowed to have only one pacer at a time. The only exception to this rule is that runners are allowed to have as many pacers as they would like from the point where they cross the Courtois Creek, just after entering the Bass River Resort, to the finish line. ANY RUNNER WHO HAS MORE THAN ONE PACER AT A TIME PRIOR TO CROSSING THE COURTOIS CREEK AT BASS RIVER RESORT WILL BE DISQUALIFIED FROM THE RACE. l No bicycle or equestrian pacing is allowed anywhere on the course. l Pacers and vehicle/pacer shuttle services are not provided by the race organization. l All runners must wear assigned race numbers. It is the runner’s responsibility to ensure his/her race number is recorded at all aid stations both when the runner checks in and when the runner checks out. If your race number is not recorded at an aid station, you may be disqualified for not completing the entire course. Note that there are two aid stations that require a short out-and-back off the main trail. These are the Highway DD Aid Station (a left turn off the main trail) and the Berryman Campground Aid Station (a right turn off the main trail). You MUST enter both aid stations and have your number recorded or you will be disqualified from the race. l At no time may a runner ride in or on a vehicle of any kind. Violators will be disqualified. If you get off the course, you must return by foot to the point at which you left the trail. l Please do not litter on the course. Violators will be subject to disqualification. l If you drop out of the race, make sure that the aid station captain at an aid station is notified and give the AID STATION CAPTAIN the pull-tab off your race bib. Failure to do this could result in search and rescue, which will be at runner’s expense. Please be aware that if you do not drop at Sutton Bluff, Brooks Creek, Highway DD, Hazel Creek, or Berryman Campground, you could be waiting a long time for transportation back to Race Headquarters. These 5 aid stations will be the primary aid stations serviced by the shuttle picking up dropped runners. The shuttle will only pick runners up at the more remote aid stations as time allows, so expect a long wait at those locations (possibly until the aid station shuts down after the cutoff). l In the event Search and Rescue is called to search for a runner, the runner will be responsible for all costs associated with such search; therefore, it is very important that you notify an aid station captain if you find it necessary to drop from the race in order to avoid the unnecessary dispatch of Search and Rescue teams to look for you in the Forest when you are back safe and sound in your cabin, tent, or hotel! * The first two cutoff times listed are recommended only. Runners will not be cut for leaving Sutton Bluff and Stillwell Hollow aid stations after the time listed. However, if you leave either of these two aid stations after the recommended time, you should consider picking up your pace accordingly or you will be in jeopardy of missing the cutoff and being pulled from the race at Johnson Hollow. If you are significantly behind the recommended cutoff at either of these two aid stations and have no hope of making it to Johnson Hollow aid station prior to the cutoff (in the sole discretion of either race director), the race directors reserve the right to pull you from the race. Such a decision to pull a runner at either Sutton Bluff or Stillwell Hollow for this reason will not be considered as long as the runner leaves these aid stations within 45 minutes of the recommended times. Directions to the Start of the race from Bass River Resort (BRR): NOTE: PLEASE USE THESE DIRECTIONS RATHER THAN PLUGGING GPS COORDINATES INTO A GARMIN, TOMTOM OR OTHER ROUTING DEVICE. SUCH MODERN TECHNOLOGY HAS RESULTED IN SOME RUNNERS STARTING THE RUN LATE IN THE PAST. Leaving BRR, turn right on Butts road and go 1.8 miles to Route 8. Turn left Route 8 and go 5.5 miles to Route Y. Turn left on Route 49 and go 4.8 miles to Route 32. Turn right on Route 32 and go 2.3 miles to Route KK. Turn left on Route KK and go 15.1 miles to Route TT. Turn left on Route TT and go 3.8 miles to Route 72. Turn left on Route 72 and go 2.5 miles to County Road 862. Turn left on County Road 862 and go north 1.2 miles. The starting line is on your right at the intersection with FR 2309. Crew will be allowed to park on the right (East) side of this road only from the time they drop off their runner until after the start of the race. No cars are allowed to park at this location during the duration of the race. Park on the right side of the road only PRIOR to the starting line (south of FR 2309). Once the race starts, you may turn you car around and leave within the first 20 minutes after the start of the race. The first 2.8 miles of the race are an out-and-back, at which point the runners will turn south on CR 862, where cars are parked, for the next 1/2 mile. For the safety of the runners, any cars still parked on this road when the first runner starts south on this road will be held until all runners complete this road section. l Park at signs before Sutton Bluff Campground. (Do NOT park past the trailhead, which is on the right side of the road just before the river crossing.) Walk on the road across the river to the aid station. l Turn around BEFORE you get to the aid station and park on the right side of the road as your vehicle is facing back towards Bass River Resort and away from Henpeck Hollow aid station. Do not park past the sign indicating “NO PARKING BEYOND THIS POINT”. Do not drive past the aid station FOR ANY REASON. Any crew driving past the aid station will be reported to a Race Director and the runner being crewed by that crew WILL be disqualified. Please note: parking is allowed on one side of the road only in order to allow for the passage of local traffic. CREWS MUST NOT SET UP CHAIRS AND/OR GEAR IN A MANNER THAT BLOCKS THE ROAD. This may block traffic and result in a hazard to the crew, runners, aid station volunteers or others. PLEASE drive slowly on gravel roads near aid stations to avoid dusting the aid station volunteers and runners! If you have any questions, please feel free to contact us at ozarktrail100@aol.com . STEELVILLE, MO. — The European Alps are his training grounds, and many of the world’s top ultra marathons are close to home, but for Pierre Deragne of Lyon, France, the only option for his first 100-mile race was located about 4,000 miles away in the middle of the United States. Pursuing his passion to the trails of the Mark Twain National Forest in southeast Missouri proved to be destiny for Deragne. Not only did he complete the 103.1-mile course, but he did it in record time by navigating the winding bluffs, hollows and leaf-covered rocks and roots in 18:33:34 to break Jeff Browning’s record of 18:38:59 from 2009. Deragne also had to overcome what was on track to be a record-setting day by Nick Lewis. The leader from the start, Lewis opened up a half-hour lead by Highway DD at Mile 50.6. Shortly after leaving the aid station, however, Lewis stepped on a rock hidden by leaves and injured his left foot. He pushed on for nearly 40 more miles before dropping from the race. Deragne took the lead at mile 68 and never looked back. Other top performances came from runner-up Tommy Doias who became a four-time Ozark Trail finisher in 20:07:47; defending champion Kyle Gibbs who placed third in 20:19:16; Travis Liles who finished fourth in 22:17:53; and Jared Fetterolf who placed fifth in 22:48:25 just three weeks after winning the Heartland 100. While Deragne’s record-setting performance came on his first try at 100 miles, Katie DeSplinter had her own record-setting effort in a race that was all about redemption. The Los Angeles resident and native of St. Charles, Missouri, came to the Ozark Trail 100 in 2010, but dropped after 68 miles. She went on to finish other 100-milers – including Western States this year – but the DNF at Ozark Trail stuck with her. Kristina Tudor took second-place women’s honors by finishing her first 100-miler in 27:23:00. Amanda Jerman was the third-place female in 28:23:52. Susan Donnelly also turned in a notable performance as the Tennessee resident claimed first-place masters female honors for the fourth straight year with her time of 28:26:45.  Donnelly’s strong showing came just one week after finishing the Javelina Jundred.